Ok, that previous post about goals and goal-shyness didn’t do a damn thing for me. Honestly, it was kind of a farce, to think that summing up my notion of “success” would take me anywhere. I’m too thick for that, I think. Instead it just made me avoid this blog. Way to go! Actually, I’ve been plugging away at those “goals” but only because I carry a mental microscope everywhere I go and the smaller the step the more manageable it seems and thus I can progress. The big picture things? They have to stay firmly tucked in my subconscious (which loves big themes and concepts like crazy) where they’re not allowed to make me feel guilty about my day to day inching along. So, I set small goals for five weeks and it worked really well (simply: Read the next HTTS lesson. Conceive of x number of possible scene ideas. Plan x number of scenes from last week’s ideas. Write x number of scenes from last week’s planned scenes.) It worked up until last week when a combination of too much busy-ness (from taxes to passport renewals in Berlin to city-gov’t paperwork to an editing job) intersected with a serious need to re-assess the story. Next week is a holiday for the kids, we’re going traveling and I’m going to keep on working on my story as I can, but not because I someday want to pay my bills with this thing. I actually found my biggest motivation: Life is short and there is much to be done. If I don’t do it, I won’t feel good. There. That’s what keeps me going. I’ve admitted before that I’m process oriented and that goals often make me nervous. They seem closely related to plans which have a habit of exploding when I get near them. But, as the saying goes, “You can’t hit a target you can’t see, and you can’t see a target that isn’t there.” I think my years as an out-and-out goal denier were actually years spent faking blindness in order to not recognize the goals I did have in mind, to not grant them legitimacy in the face of uncertainty and lack of courage. Tuning in to my peripheral vision I now suspect that my goals existed but by refusing to see them as such, I denied their hold on me and prevented myself from respecting them or my ability to attain them. Recent efforts to overcome Goal-Shyness have allowed to me admit the shocking truth – I have goals! Conventional wisdom these days holds that some of the first steps to attaining goals are to clarify them (be specific), break them down into manageable chunks (that’s what my Small Steps posts are about) write them down (this helps me take them seriously), and to revisit them from time to time (they do change). The anti-goal mentality only served to further a long ingrained assumption that I can’t accomplish much – simply because I wasn’t clear about what I wanted to accomplish, have not put thought into determining what defines accomplishment for me. This was a recipe for diffusion and discouragement. Enter, among other activities, the role of this blog: to”put out there” what I want to do with my writing so that I can be held accountable, so I can live up to my word, which is important incentive to me. It really does help to know that you, dear reader, are invested in what I’m doing here – even if you only stop by once, I appreciate that you’ve taken the time to consider what I write and the things I’m learning along the way. I don’t know how common Goal-Shyness is, but I suspect I’m not alone and I hope that evidence of my working away at this project and its challenges can do away with the ridiculous idea that success can only be a result of the effort of flawless, totally-got-it-together, madly-driven individuals. In all honesty, I’m not living any sort of inspiring story or adventurous life, not consumed with certainty that I’m brilliant and recognition is immanent. Nonetheless, I have a trusty imagination, a basic skill with language and a love of using words to make worlds. I want to share that, and that’s the first step to recognizing I have goals and working to make them reality. So, following up on Kristen Lamb‘s question: When are you going to know you have finally become successful? I figured out what’s going to do it for me. I have short term goals and long term ones and the first lead into the second. At this point, I’ve not parsed them out into their manageable chunks and small steps, but, here’s an overview of my goals. I want to work consistently on GOTS and finish the first draft, edit it until it shines and find a publication path. I want to write my best possible work (by the line, page, poem, manuscript, book) and support myself by doing so (meaning: pay the bills, put kids through college, save for retirement, and above all, afford to keep writing so I can keep doing the same). I know that’s not all possible off of one WIP, but that WIP is the key to everything. I need small steps to get to the larger goal and will be charting those steps soon – I imagine this as a process of emergence. I know it’s the season for resolutions and goal setting, and though I’m just as sick as anybody of hearing about New Year resolutions and how quickly they get dropped or how awesome they are, isn’t it a good idea to evaluate your goals and aspirations once in a while? I’m glad to join findingmycreature, Anne Lyle, Cat Gerlach, and Prudence Tremayne in coming up with (gasp!) a plan. Oh my god, did I just say I was coming up with a plan?! Most of my work right now is taking place in my head and so I look like I’m not being productive. Actually I’m not being productive if you take that word apart and try to find what I’m producing. Not many words, some vague ideas, some inklings and notions. What I’m getting at is that I need this…this unproductivity, this lack of externally verifiable semblance of work. But I have to be careful to differentiate between moodling and flaking, active waiting and complete avoidance. Every day it’s a challenge, to be honest. And it’s easy to be distracted (hello internet, how’s your day?) and easy to take the first thought-train that comes while I’m standing at the station, before sunrise and in the wind, waiting for a very specific, very variable and periodic locomotive with no predetermined schedule. Fickle, anyone? The driver of my locomotive, who has trained his whole life for the job might be justifiably let down when I’m off gallivanting with the driver of the train called “Weird Things People Make With Bread Dough” or the one headed toward, “Gee I Think I Need Another Gingerbread Cookie.” He pulls into station after station and only gets a glimpse of my retreating back. I worked on GOTS through the first two or three weeks of NaNo and then realized I needed to sit with the story some more. Only I didn’t know it in exactly that term – I just felt stalled, like there was obviously something that needed to happen, but I didn’t know how to get there. I hadn’t done the level of planning needed for the mid section of the story and so had no idea where to go with it. Attempts to just sit down and get it planned didn’t work either, for the most part. But rather than sitting down to focused planning time, I sat down and then did other things when brilliant ideas weren’t immediately forthcoming. And very few of those other things were productive, or if they were, they were productive of things other than my story. I’ve stalled before, had creatively dry phases and times unpopulated by ideas or the drive to fulfill them. I used to worry when things went quiet, afraid there was nothing left, that the few things I’ve written, the scattering of handicrafts and small collection of drawings were all there really was, that there might really be nothing more I was capable of. Actually, I still do worry, only I think I’m getting better at my practice of letting the process go where it needs. This week and next the kids are home from school and that does make it difficult for me to work. I wish it weren’t so but I need space and some degree of undistractedness to write the way I want. Perhaps a lot of my inconsistency comes from not being able to give myself the kind of situation I need in which to write – I have to really struggle to find it. The dangerous result is that I pick up the message, quite clearly, that if real life isn’t aligning in my favor and if I’m not writing what I want, then it obviously means I am incapable of writing what I want and I don’t have any support in the matter. In fact those are such distinctly different things, a logical fallacy that incorrectly links cause and effect, and I’m working on separating them, merely for my own mental health. Just before the kids got out for Christmas break I stopped at the university library to see if it might work as a “studio,” and it looks like it might be a good option. So, after the new year, I’ll be giving myself the courtesy of a schedule and a workspace so I can get back to my poor dangling story. 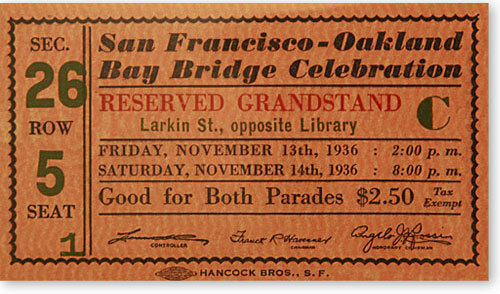 SF-Oakland Bay Bridge Opening Day posterOn November 12, 1936, the then longest bridge in the world opened, connecting San Francisco to Oakland by spanning the busy San Francisco Bay with a brief touchdown on Yerba Buena Island. Hailed as an engineering marvel (which it was), the Bay Bridge, like its younger, still-being-built counterpart, The Golden Gate Bridge, did something to link the imaginations and dreams of people to their sense of place and possibility. SF Bay Bridge under construction. On one side of the event there was a distinct celebration of technological prowess, a symbol of the ways a society could pull itself out from the catastrophe of an economic depression through modern science and the application of man-power to shape material reality. Where some parts of the country were currently plunged into battle with the forces of nature revealed in dust storms and drought, here was evidence that thirty years after a destructive earthquake, people could survive and flourish and accomplish great things. The march of Civilization-and they were its Pioneers. 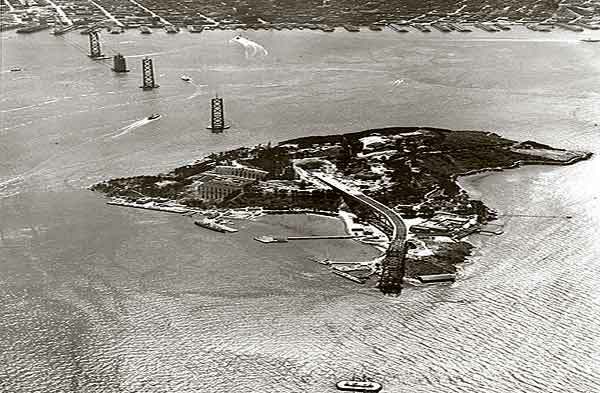 There were touches of the mythic in the perception of what it meant to modify land in such powerful ways, to connect that which nature hadn’t connected, in short, to bridge distances that had once been taken for granted as being unbridgeable. These projects, undertaken for public welfare, inspired confidence in a time of uncertainty and gave rise to the celebratory in spite of the challenges faced by people in their daily lives. That there was a nod to beauty, not just utility, was an important part of the construction process and the meaning made manifest by these bridges. 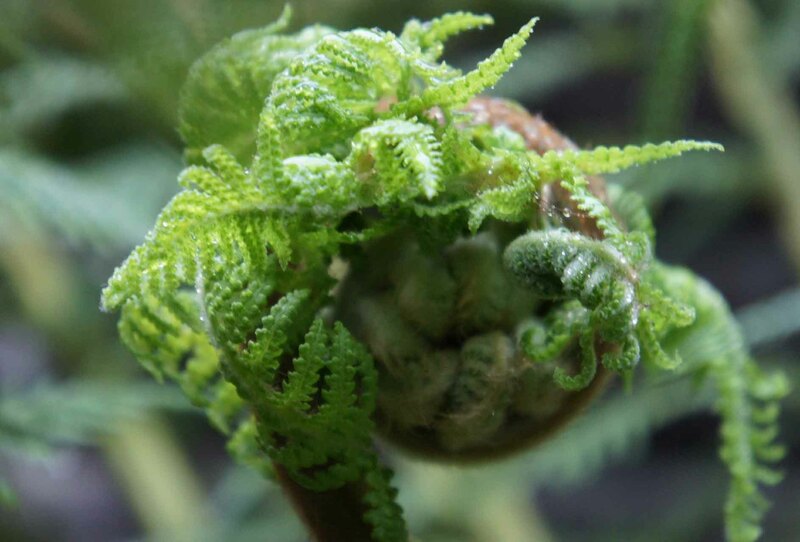 I’m trying to let the creative work develop its own fullness, let its light shine through. Ultimately, it’s not a novel about bridges or even bridge construction – but at heart it’s about the ways we build bridges to connect what has been kept distant and how the mythic and the creative intertwine. 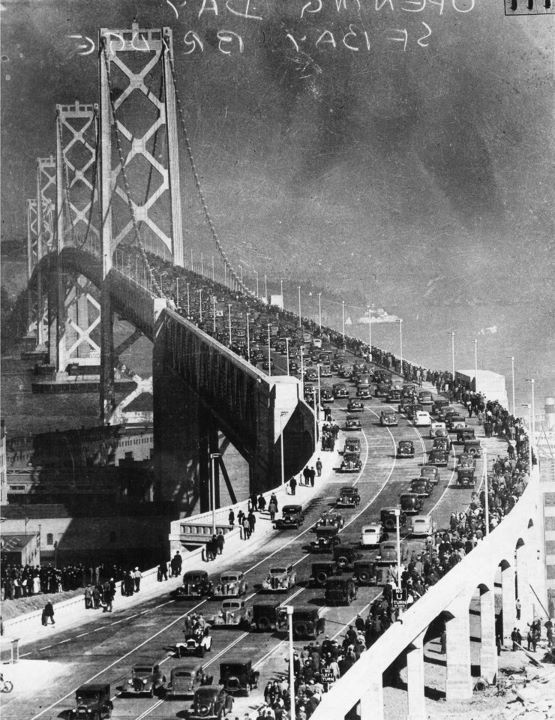 SF Chronicle article on the SF Bay Bridge 75th anniversary. 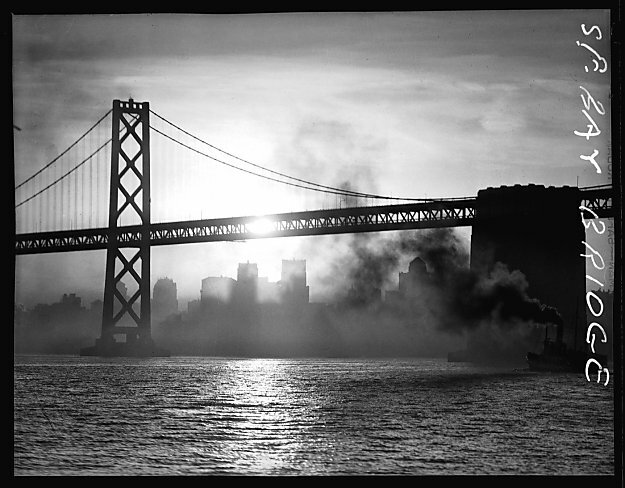 A new artistic vision for the Bay Bridge. The Sentence is a tool to keep a writing project focused and I’ve worked over GOTS’ Sentence many times inthe past two years in an effort to refine that focus, or, in the case of last year’s massive setting shift to reflect the most important elements of the story. It’s interesting to note how a story can change so much yet still remain the same project. To illustrate that, here are several incarnations of my summary. The first is the actual first attempt to figure out what in the world I was working with. A five year old passenger in a wreck that leaves her brother in a coma is sent to her grandparents’ while her mother gives all her attention to the injured boy. In a strange environment and with no friends, Kimmie discovers an unlikely and dangerous ally who sends her on a journey to restore her brother from unconsciousness. Wordy, wordy, wordy, but I was merely working my way toward my point. Gradually I cleaned it up and had something I could work with for a while. A dubious fairytale ally helps a little girl far from home discover the path to recovery from the trauma of a car wreck that left her brother in a coma. I started working with that as my guiding principle – it gave the most important details of the story around which I could work new information and plot expansions. Eventually, as detailed in The Convoluted History of GOTS, and What GOTS has Turned Into, I realized I was on a tangent, a wrong track, for this story. It has themes it wants to maintain and the decisions I was making for the story weren’t working for them. Not that I have an ulterior motive in writing this, or that the entire point is the “message” but that this story has fundamental characteristics, or dare I say, needs, and that to deviate from them would be to undermine it. I’m not going to out and out list those themes (sorry, no Cliffs Notes version of GOTS), because if I succeed in making the story I want, you’ll be able to find your own in it and I will have done my job well without hitting you over the head with blatant explanations. Most recently, I started working again after a several month hiatus (encompassing an international move) and I started with the Sentence as written in the previous post. It’s obviously related to the last pre-setting-shift version, but with significant alterations. A dubious fairytale ally gives a gifted student the means for her injured father’s recovery but immanent homelessness requires relinquishing her dreams to save her family during the Depression. With the help of How to Think Sideways members to whom I offered a longer description of the story, I was able to work out a new and improved summary. This is where I’m currently basing my story, what keeps me focused. When a math-whiz risks her dreams to support her family during the Depression, a double-dealing frog promises the cure for her comatose father if she’ll sign her talents over to him. Even rereading it now I find a few places where it isn’t perfectly consistent with the amorphous-but-still-fully-formed-in-my-unconscious story that wants to be written. Every now and again I’ll revisit the Sentence and see if I can get it to reflect the project more succinctly and fully, but for now it works. A dubious fairytale ally gives a gifted student the means for her injured, comatose, father’s recovery, but immanent homelessness requires relinquishing her dreams to save her family during the Depression. No, no, no – don’t panic! I’m still plugging along with GOTS. I just realized (again) this week that Big Project Titles intimidate me. So no longer am I going to dangle it over my head, I don’t need the torment. Instead I’m just going to keep up the small steps that are part of the whole picture. Yes, I’m fooling myself intentionally – obviously I know I’m working on a novel. But there’s a voice that says (with a whine): gee, don’t you wish you could “write a novel?” How come you’re not “writing your novel?” You’re not very committed to “writing a novel” are you, if you’re not actually writing it? etc etc. And that voice can officially shut up instead of freezing me up. This week has been full of small steps (which look large in comparison to the months of no activity I’ve had recently) and I am pleased to keep keeping on with them. They’ve involved clustering, and today a revisit to the Dot and the Line, HTTS’ Lesson Five. The Dot and Line work are integral for me, even though they’re difficult, because I was not granted an intuitive understanding of the conflict in my story other than that which is completely obvious. In the past I’ve tweaked the Dot with great results (the spoke shape Holly uses never worked for me, I’m more of a list maker at heart), and from the walkthrough I saw that it was possible to draw a three (or more)-pronged line to show conflict between multiple facets. It’s good to be developing the story again – and not succumbing to hopelessness that I’d be able to come up with the depth the story needed. Mind mapping/clustering seems to be a good way to generate and record random half-thoughts that might eventually be used. Yesterday I spent some time mapping both what the Golden Gate Bridge means in this story and what’s important about the setting being San Francisco. I brought my SF map to Germany and yesterday looked it over – an exercise in both reminiscence and imagination. With the map I was also able to think about whether or not it’s feasible to pull in a sunset seen from the East Bay, setting through the GGB. Just a thought I had – and I guess it would mean that at some point I’d need to determine where on the horizon (during which particular season) the sun actually appears to set… Probably too much research than I need to be getting into at this point, but I did write the possibility down on my cluster. This morning I stepped away from physical objects and put down “Characters” as a central circle for a cluster and promptly stalled out. Maybe “Characters” is too broad for my creative mind – but I did something I’m learning to do more often and it helped. I opened up my cheap notebook and wrote out about being stumped by “Characters.” Eeventually I turned from that page and clustered a little about one of the main characters, asking questions and getting more detail. Asking questions is key, especially, “What if…?” and simply writing out what’s in my mind, journal style seems to help. These are things that I need to be consciously aware of having in my toolbox. I’m also finding that though I recognize that such things as a “toolbox” with “tools” in it is symbolic, it helps to accord them a degree of imaginal or magical reality. I have a toolbox in my mind, and it’s in the studio of my mind where I work to bring words out into the world. My next step is to continue with the clustering and then to go back and look through HTTS lessons (and walkthroughs) – backtracking a bit to make up for having pushed GOTS to the background. Oh heavens it’s been a long time between posts. That’s an indication of how much attention I’ve been able to give to GOTS over the past few months. The reason? I’ve moved to Germany! Meanwhile, I engaged in some symbolic shopping in order to give myself the sense of starting anew (my Muse likes new) even while I’m keeping my WIP from the past. I am now in possession of an orange folder, a hardbound orange notebook (substantial enough that I give this project some credibility, inexpensive enough that the inner accountant doesn’t threaten to fire me), and some tiny little orange index card (who knew Germany was the land of All-Sizes-Index-Cards? )… See that beautiful bridge up in my banner? That’s the color and the meaningfulness to it all. So I’m backtracking somewhat to remember where I was with this (to fit in my process that means I have to re-engage by re-writing some of my clusters and notes – somehow my hand MUST be involved in getting my mind to open up). It’s going to be sporadic due to my simultaneously feeding and cleaning up after my family, trying to live in a house that’s unfurnished, setting up basic utilities (still no internet at home ’til Thursday) and working with repairmen who don’t speak English any better than I do German, and getting some part time copy editing work to make up for the huge initial expenses we’re dealing with, but BY GOLLY, I’ll have planned enough that I can take part in this year’s NaNoWriMo. You may have noticed that I sometimes refer to my creative side as my “Muse-mind.” This is a term I use intentionally and, thus far, without explanation under the assumption that you pretty much get what I mean. The concept of an artist having a Muse is, of course, well known, though probably regarded as anomalous except in certain Romantic literary and artistic circles. 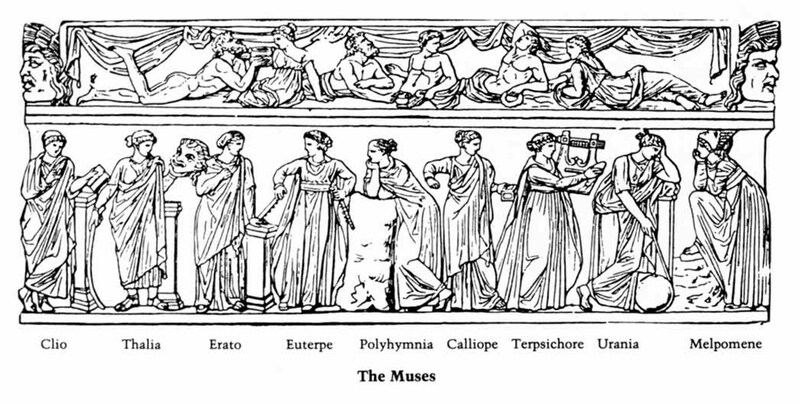 It is possible to see the trajectory of the Muse concept as one that encompasses both the Greek notion of three, then ultimately, nine goddesses who bestowed gifts of creative output and sentiment on mortals as well as later (mostly European male) artists finding their creative source embodied in actual women (as in Dante Alighieri’s case with Beatrice). Of course, given the Enlightenment and subsequent eras’ preference for rationality and biologically proven reasons for human actions, these ideas fell out of favor. I doubt, too, that upholders of Christian doctrine approved of something that sounds so like heathen idolatry. Personally I don’t require completely materialistic explanations of everything or adherence to such religious tenets, so I’ve had the pleasure of toying with this idea that’s experiencing a resurgence. In the past few years of learning more about my creativity, including what works, what doesn’t, how I avoid dealing with it and ways I’ve been conditioned to think about it or value it, I’ve come across an ongoing revitalization of the idea that there might be such things as “muses.” What’s interesting to me is that the notion has evolved over time and has come to incorporate some of the findings and theories of (mostly Jungian) psychology as well as a willingness to look back to ideas that were shaped by early humans’ recognition of an animate world filled with varieties of sentience and states of consciousness. 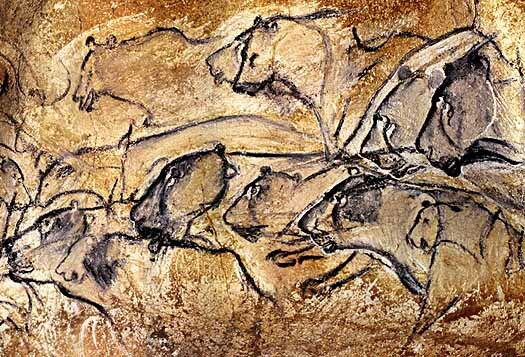 By 2009 I had begun to read many writers’ thoughts on inspiration, creativity, the unconscious, and archetypes. Almost simultaneously, I came across the notion of the useful (and perhaps imperative) concept of a personified Muse from several different sources. Elizabeth Gilbert’s TEDtalk (embedded below) considers the Greek notion of one’s genius being something not wholly personal or subject to “ownership” but rather something one accesses or is given to use for particular work and it really struck a chord (and still moves me, two years later). Gilbert’s experience and the lesson in How to Think Sideways on personifying one’s Muse gave me a huge sense of relief and tools with which to actively nurture what until that point had felt like an arbitrary burden because of an underlying fear that there might be no way to encourage any flourishing while still feeling the pull of potential. It felt capricious and mystifying. In some ways it still does but learning to give (“imaginary”) form to my imagination was the first step in making this a mutual, reciprocal, engagement with the source. And though it may seem very farfetched when put forth in the form of belief (“Do you really believe in muses?” I can imagine being asked) as though they’re non-corporeal spirits floating about independent of everything, the whole concept is really one that one’s unconscious has to accept or deny, by trying it out imaginatively. It’s a matter of whether or not it works for a particular artist, a choice of lens with which to understand things, let’s say. Not everyone needs or wants a muse, many benefit by having the option. Something important, though, is that although the rational mind can justify the process with psychology terminology and awareness of the symbolic nature of the muse, the symbol still has to be treated with respect, with commitment, and with awareness that it simultaneously has a life of its own that wants to be lived. Only then can it find its power, no longer repressed. Personally, my Muse-mind has a specific form it likes to be envisioned with, a name, and certain character traits (including a preference for Muse-mind rather than “My Muse” when being introduced to people) some of which I may share in a future post. Meanwhile, enjoy the video and Matt’s site to explore the ideas further..